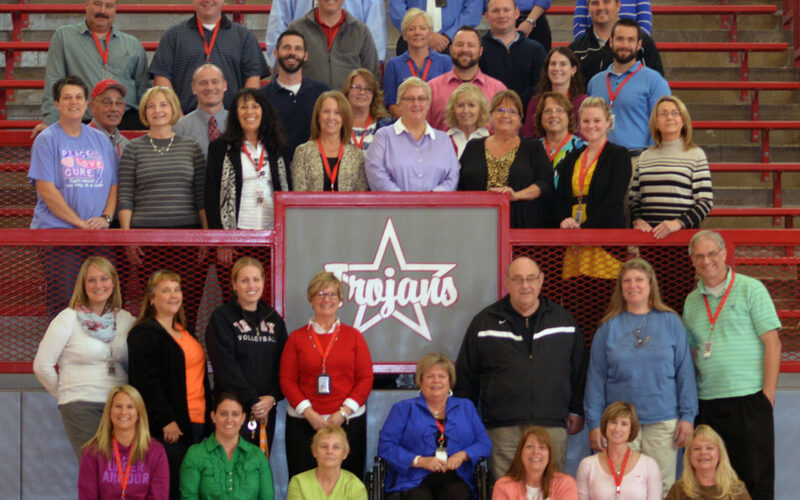 As the principal’s secretary at Troy High School in Troy, Ohio, Pam Klatte has heard her share of Spring Break stories. None, however compared with her own. Pam and her husband, Joe, were on their way home from their timeshare in Kissimmee, Fla. Joe, under the weather from allergies, was driving north on I-75 through Unadilla, Ga., when he passed out at the wheel. The vehicle rolled once and hit a tree. The first responders held up Pam’s side of the car, not wanting it to shift. The Jaws of Life were used to cut the door off of the car and free her. The ambulance drove five miles to the waiting Carrollton Air Evac Lifeteam helicopter. Air Evac flew Pam to Macon, and then on to Grady Memorial Hospital in Atlanta. Flight nurse Debra Carter offered to have her husband drive Joe to Atlanta to be with his wife. Pam broke her femur and her hip. She was coherent for a couple of days, but then her body went into shock. She went through 11 surgeries in 21 days and though the doctors did their best, Pam lost her leg below the knee. The town of Troy and the school system embraced Pam and Joe, raising money and sending hundreds of cards and “Get Well” messages. She wasn’t supposed to go back to work until January 2015. Pam made a triumphant return to Troy High School on August 25, 2014.